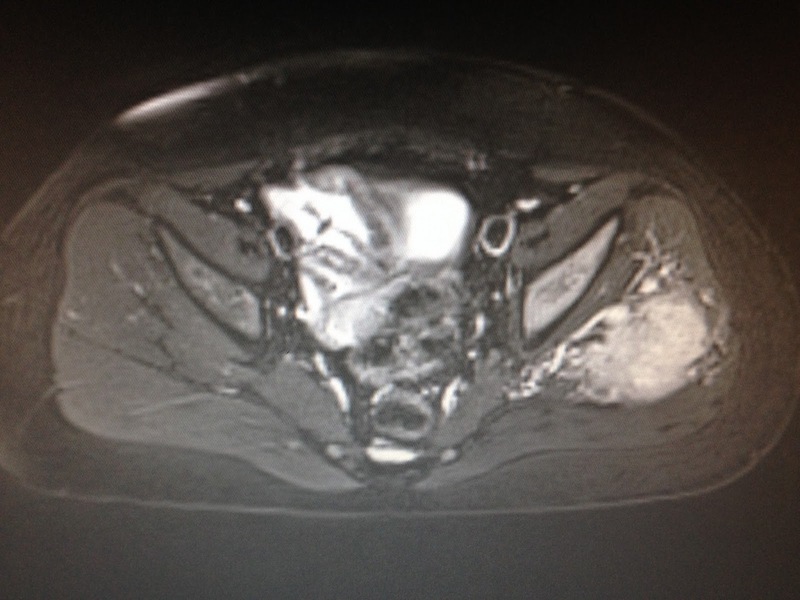 8yo female child detected one mass at left buttock that was in slow growth for 3 month and getting pain now. 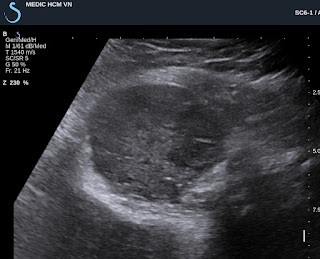 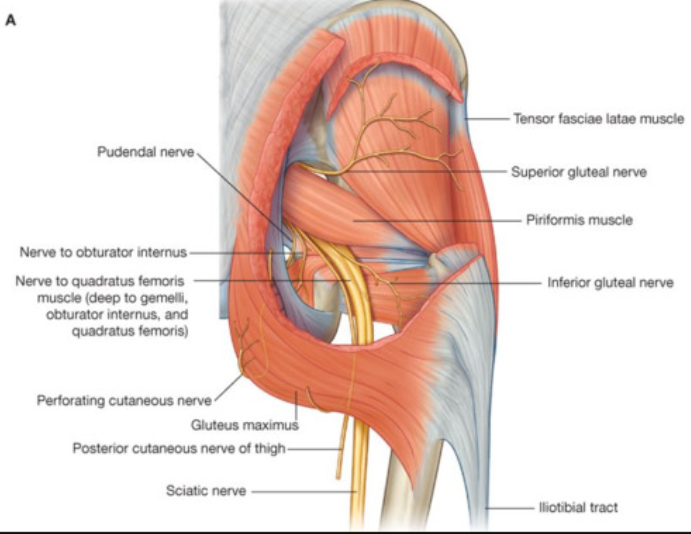 Ultrasound of this mass which is located at gluteus medius muscle of left buttock. 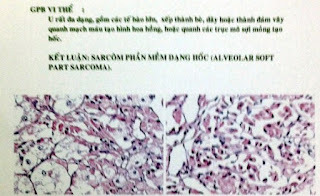 US 1: Hypoechoic mass, size of 5 cm, well bordered. 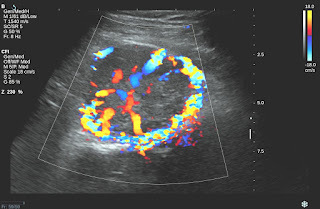 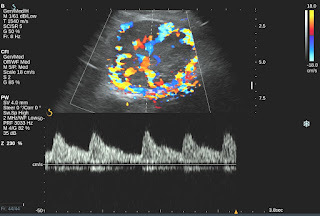 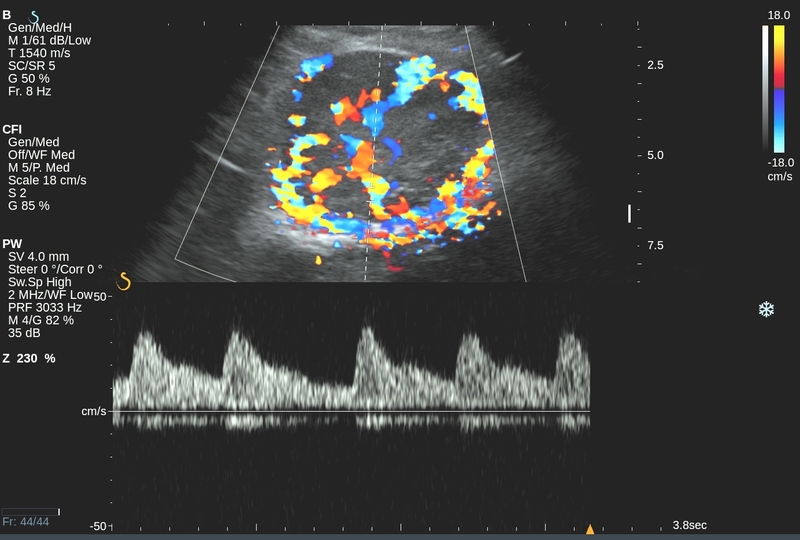 US 2 : CDI, hypervascular color mapping looked like a ring. 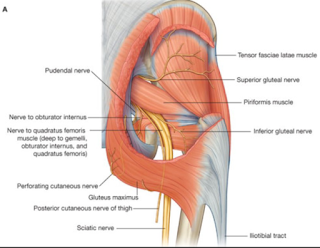 US 3: PWD, RI low of the artery supply. 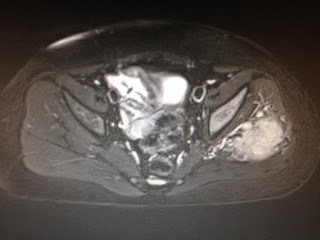 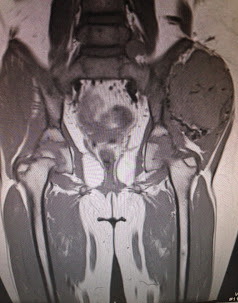 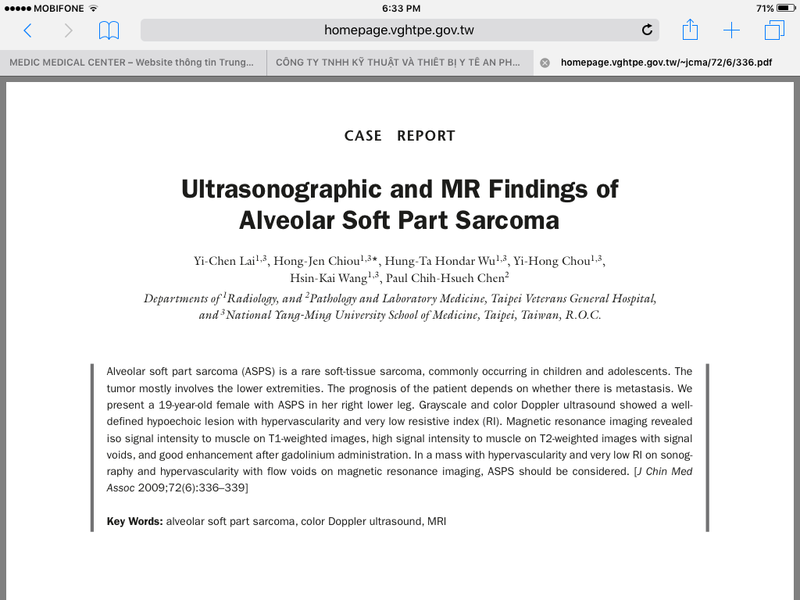 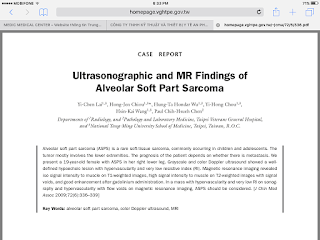 MRI with gado of the mass. 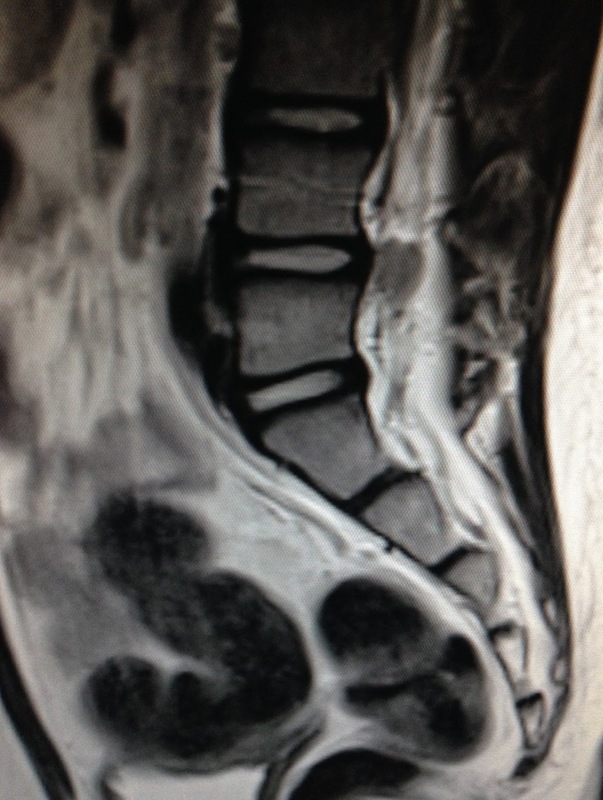 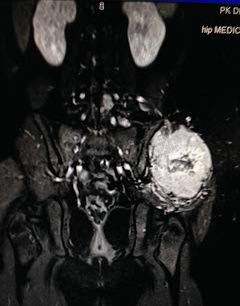 MRI 1, MRI 2, MRI 3 of this mass showed erosion of the iliac bone and MRI 4 revealed a small mass intraspinal canal. 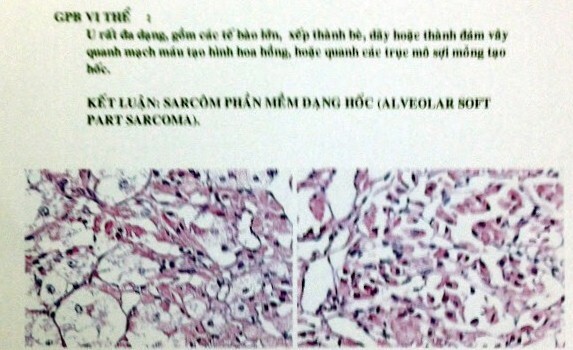 Open biopsy of this tumor with the specimen looked like brain tissue and microscopic result is ASPS (alveolar soft part sarcoma).